The United Kingdom—and particularly Great Britain—arguably has the best sports betting infrastructure in the world. Unlike other countries where sports betting is prohibited or highly regulated (usually at the behest of religious moralists or the land based casino industry) it’s legal in the UK. There are thousands of bookmaking shops representing over 100 different companies found all over the United Kingdom. There are over 1,000 betting shops in London alone. Online betting is legal, casino gambling is legal, poker rooms are legal, lotteries are legal, horse betting is legal. Sports betting in the UK has been commonplace for decades. Most of the big bookmaking companies such as William Hill or Ladbrokes trace their lineage back to the 1920’s. ‘Off premise bookmaking’ was legalized in 1960 and that opened the door for phone wagering. 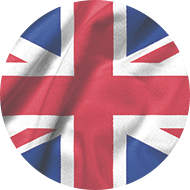 UK gambling law was updated again in 2005 with The Gambling Act of 2005 which established The Gambling Commission which reports to the government’s Department for Culture, Media, and Sport. The mandate of The Gambling Commission is notable for its realism and common sense in contrast to the hypocritical regulation of gambling in the United States. The Gambling Commission’s job is to keep gambling on the ‘up and up’ and not an adjunct of organized crime. In addition, The Gambling Commission helps guarantee that everything is run fairly and that underage people and problem gamblers are excluded. The result is that the UK might be the best place in the world for sports bettors. There are thousands of bookmaking shops all over the country. Off premises wagering kiosks are commonplace and online betting is legal. There are regulatory guidelines for the licensing and operation of online betting businesses but they are reasonable and not a form of ‘regulatory capture’. The scope of gambling options available in the United Kingdom are downright mind boggling to a US resident with their options limited by the government. In contrast to the United States, the minimum age for sports betting is 18 (as opposed to 21 in the US) and the age for football pools is even lower at 16. For an American player the acceptance and ubiquity of sports betting (and gambling of all sorts) is almost impossible to understand without experiencing it. Bookmaking shops advertise on television and in other media formats. Big gambling companies such as Bet365 and 12Bet are primary ‘shirt sponsors’ of English Premier League teams and their logos appear on their uniform. This is similar to the NFL having the logo of Wynn Las Vegas and the MGM Grand on their uniforms—almost out of the realm of possibility in the United States. There’s not really any type of betting that is illegal in the United Kingdom. Bookmakers can take action on sports, politics, TV shows, entertainment props and even the gender of royal family babies. Financial spread betting is also available though that is regulated by the Financial Conduct Authority (the UK equivalent of the US Securities and Exchange Commission). The Gambling Commission provides a dispute resolution process if players have a problem with their betting outlet and accepts general complaints about how they’re being operated. In a perfect reality, the UK gambling regulation framework would be the model for the rest of the world.